Plus, the book that completely changed his perspective. Krishna Pendyala: I have come to realize that many of my physical ailments are caused by my excited nervous system. So, as soon as I wake up, we have developed a habit with my generous wife reading a series of insights and affirmations from an enlightened physician to effectively manage our state of mind. KP: Confronting formidable challenges with the belief that I can make a difference, provided I unconditionally devote myself to the causes, with no hidden agenda. For humanity to thrive globally, it is critical that each one of us makes a commitment to learning how to enhance the quality of our choices by improving our Judgment Quotient (JQ). KP: To truly believe and accept that life gives you what you need and not what you want and adopt the perspective that life’s fair across lifetimes; not necessarily during a single lifetime. KP: The Road Less Traveled by Dr. Scott Peck, where the first sentence reads “Life is difficult.” Until I read that short sentence, I had not accepted that reality. I began to realize that I may have it backwards and it changed my perspective 180 degrees — from glass half empty to glass half full. KP: My phone is a tool to get things done, not very different from my laptop or my iPad. It’s a window to the world; not my umbilical cord to the universe. It’s usually on another floor recharging unless I have a very early morning flight, when it’s closer so that I can hear the wake up tone. KP: I don’t like the idea of being a slave to anything. Given that stance, I only get to emails when I can. I do not usually react to notifications, as most of them have been turned off, unless it’s a new phone and I have not gotten around to it. If I am expecting something important, however, I may check it more often. While traveling, I fill my days with workshops, speaking engagements and meetings to maximize my time away from home and family. Therefore, I may not get to emails during the day and I refrain from checking it at night before bedtime, in case there is something that’s pressing and would interfere with my sleep. I only have one of my six email accounts connected to my phone. That way my phone is never full of emails to read and respond while those urgent emails can reach me. All my accounts are, however, connected to my iPad. Last year, I made the conscious choice to trade my 4G iPad for a Wi-Fi only iPad. This forces me to connect to a mobile hotspot or network before checking emails. Having to do an extra step prevents me from checking my emails every time I get a free moment. KP: In January of 2015, two years after I was having a great time launching the Mindful Nation Foundation helping veterans with PTSD, teachers with burnout and children with paying attention, I became disabled suddenly for almost four months. I was unable to walk as I could not place any weight on my left foot. When five blood tests and three MRIs failed to lead to a diagnosis, I realized that my ailment could be a result of burnout. I reached out in despair to Dr. John E. Sarno for help, my hero who unfortunately passed away in June 2017 and the author of several books including The Mind Body Prescription. Dr. Sarno directed me to a local physician, who happened to be his former patient as well. This doctor, even without seeing me in person, told me to stop doing what I was doing. Upon further reflection, while talking to one of my favorite teachers, Tara Brach, it became clear that I had a significant set of issues working in tandem against me. First, when I quit working, I promised to spend more time with my family, but instead got consumed with the Mindful Nation work. My children could not understand why I would work for free than spend time with them. Second, since I was working pro-bono, there was a tension developing around spending, even though I never asked my family to reduce their standard of living. Third, witnessing the plight of many of our veterans, who risk their lives serving our country and then do not get the support they deserve upon their return, reinforced an ugly old belief of mine that life is unfair. Lastly, even though I spoke at length about the importance of self-care for care-givers, I failed to acknowledge the toll my service ethic was taking on my own well-being. Let me share two instances — one where I overcame the failure and another that I am currently grappling with. Being a public speaker and a workshop leader can be challenging given that you have a number of people with different interests in your audience. On one such occasion a few years ago, I spoke only to my host, the person I knew, about the group’s interests and later realized that their leader was not happy with my talk, as it did not address his needs. Given the amount of preparation for each talk or workshop, I was disappointed with myself and to this day feel bad about it. What I do nowadays to prevent a similar outcome is to talk to more people from the audience beforehand and to do a perception check every so often during my talk or workshop to make sure that I am making sense and addressing their needs. While I am answering this questionnaire, I feel that I am failing in my attempt to inspire my family to acknowledge the significance of the relationships between all the things that we encounter and the long-term negative consequences of certain seemingly benign actions. I find myself resorting and repeating old methods instead of abandoning failing strategies and trying new tactics. I have been struggling with my inability to jettison the conditioning of my past, but I fully intend to rework my approach, build new habits and succeed, since the issues are too important and personal. KP: I could not pick just a single quote. I try to live through these daily. 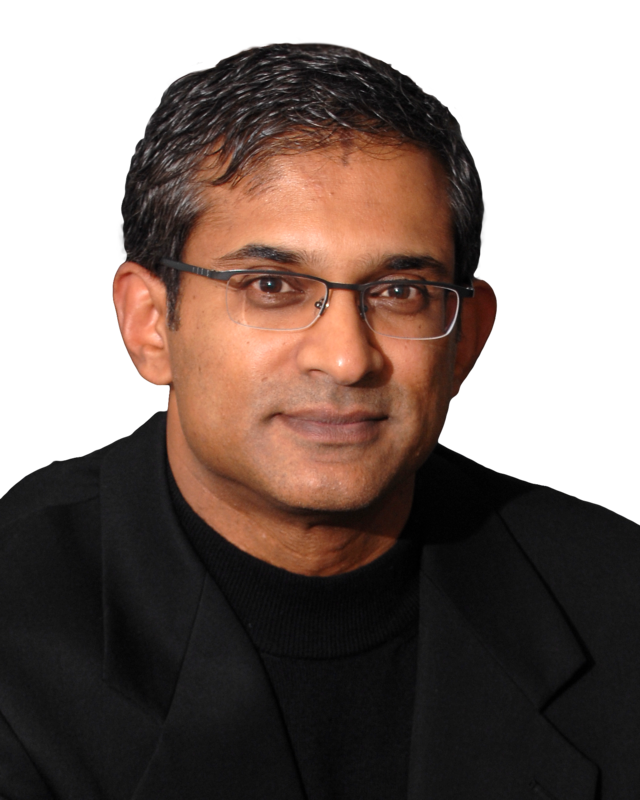 Krishna Pendyala is a noted author, systems entrepreneur, and a change agent who uses a playful approach and empowers people to make more mindful choices at work and in life. He is the founder of the ChoiceLadder Institute, the creator of the AlphaZone workshops designed to enhance the skills of conscious judgment and effective choice-making by improving our Judgment Quotient (JQ). Krishna is also the president of the Mindful Nation Foundation, a brainchild of Congressman Tim Ryan, whose vision is to help people overcome stress and lead more fulfilling lives. Krishna is an accomplished software entrepreneur, award-winning multimedia producer, inventor and sought-after business growth and personal advisor. He has guided individuals and teams at Bayer, Boeing, Carnegie Mellon, the Pittsburgh Steelers, UNESCO and UBS using his simple, yet practical framework distilled from his varied career experiences. His transformational approach has been featured on TEDx, Barron’s, the Wall Street Journal, The New York Times, Huff Post Live, and Inc. magazine among others. He is also the author of the critically acclaimed book Beyond the PIG and the APE: Realizing Success and true Happiness. Krishna received his B.S. in civil engineering from the Indian Institute of Technology, Madras, his M.S. in education foundations and media technology from Indiana State University, and has attended executive management programs at both Carnegie Mellon and Harvard universities. Krishna lives in Pittsburgh with his wife and two teenage children and enjoys playing golf, photography, kayaking, and RVing.